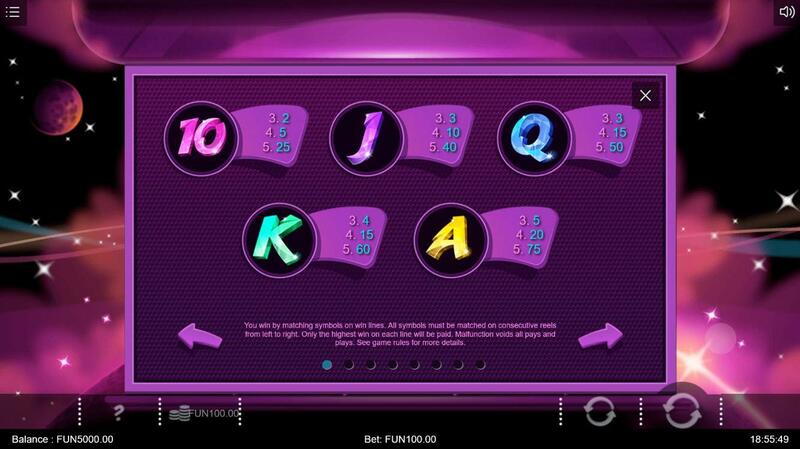 Imagine an online slot machine where you’re guaranteed a win with every spin - sounds out of this world doesn’t it? That’s exactly what Iron Dog Studio’s latest game, Cosmic Crystals is. Set in the depths of deep space, this five-reel, three-row, will automatically respin any non-winning spin until a win appears on one of its 50 lines. If that weren’t enough, watch out for the orange cosmic crystal sticky wilds that descend reels two, three and four and remains in place until you receive a cash prize. So come play onlines slots today! Although the name Iron Dog Studio might not be known by everyone in online gaming, they are affiliated with the giant 1X2 Gaming group and have proven their creative acumen with some genuinely innovative titles. 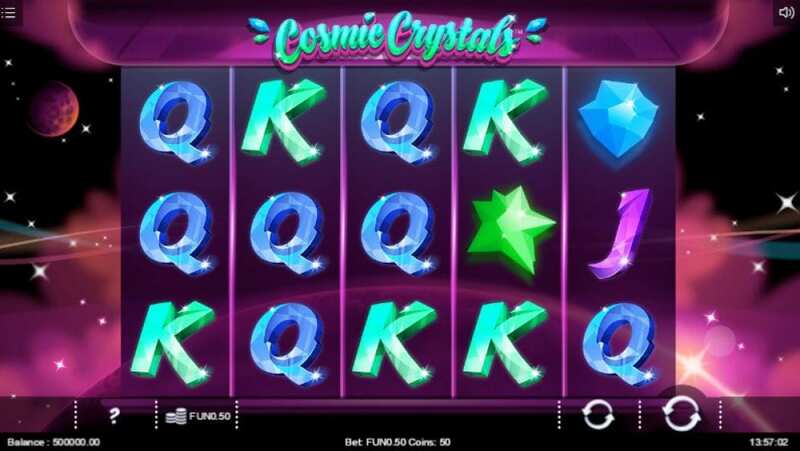 Whether it’s building a classic Keno game into an online slot, as in Neon Jungle, appealing to artistic gamers with textured reels or introducing a respin until you win feature as in Cosmic Crystals, Iron Dog Studio is continually pushing the frontiers of online gaming innovation. The studio’s regard for customer satisfaction is also mirrored in the level of support offered to casino operators. View slot games online here. Join cosmic crystals in a galaxy far far away to be in with a shot of scooping intergalactic wins. The game board is a translucent purple against a backdrop of stars and planets. Symbols reflect the theme, with 10, J, Q and K for basic symbols and blue, green, pink and yellow cosmic crystals used as premium symbols. The spacey visuals are complemented by a futuristic soundtrack that is strangely calming and works excellent with the game. Although Cosmic Crystals does not offer a bonus feature round, it makes up for this with some very innovative design. Visit our guide, there are lots of top-rated slots and winning tips to learn more. Respin until you Win - In what might be an online slot machine first Cosmic Crystals automatically awards a respin on any non-winning spin until you notch up a win. Sticky Wilds - Sticky wilds are randomly triggered during any spin. When activated, a brilliant orange wild crystal will drop down one or more of reels two, three and four, turning that whole reel wild until there is a win. This opens up the potential for cosmic wins - especially if there’s a yellow crystal nearby as these pay a stellar 1000x of your stake! As with every other game from Iron Dog Studio, Cosmic Crystals is equally impressive on mobile devices.